DWR needs your help collecting samples. 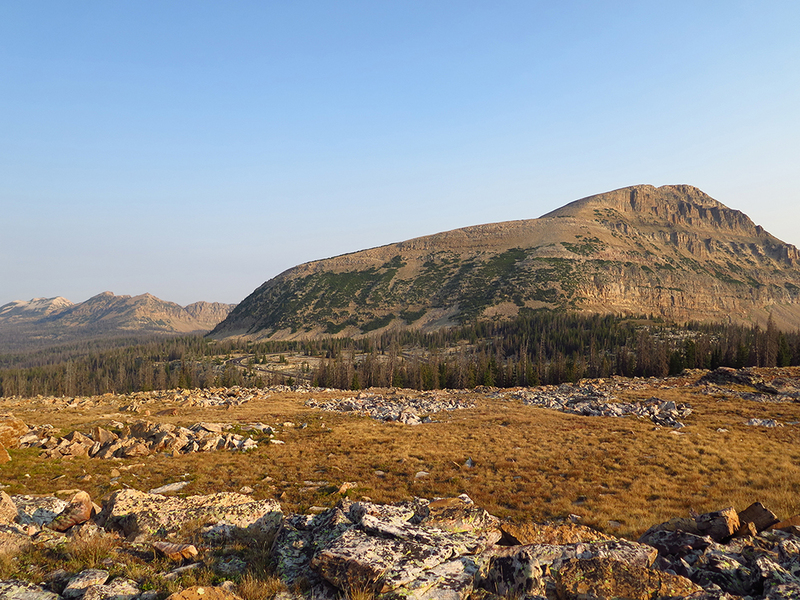 Prior to 1974, there had been occasional reports of ptarmigan in the Uinta Mountains; however, Division biologists were unable to confirm the sightings or locate resident ptarmigan in the Uintas, despite what appeared to be abundant habitat. Biologists from Utah and Colorado closely examined habitat in the Uintas and compared it to areas in Colorado with resident ptarmigan populations and determined that the Utah habitat was suitable and would sustain a population of ptarmigan, if they were introduced. In June of 1976, 11 pairs and an extra hen (23 total) were captured in the Rocky Mountains of Colorado and flown into Painter Basin in the Uintas via helicopter where they were released. An additional 32 ptarmigan were released in September of 1976. From the initial two releases (totaling 55 birds), ptarmigan have expanded from the center of the Uintas to fill the majority of suitable high alpine habitat available from Mirror Lake Highway to Leidy Peak. To answer this question, Utah is participating in a range-wide genetic study looking at differences in white-tailed ptarmigan genomes across their geographic range. If samples collected from the Uinta Mountains match samples collected from locations within in Colorado where the 55 birds were captured in 1976, we can be confident that we have an entirely introduced population. However, if the Utah genetics differ significantly from the Donner population, there were likely other ptarmigan present in the Uintas in addition to the released birds. Ptarmigan habitat in the Uintas. To collect a sufficient number of samples from throughout the geographic range of ptarmigan in the Uintas, we need help from hunters. 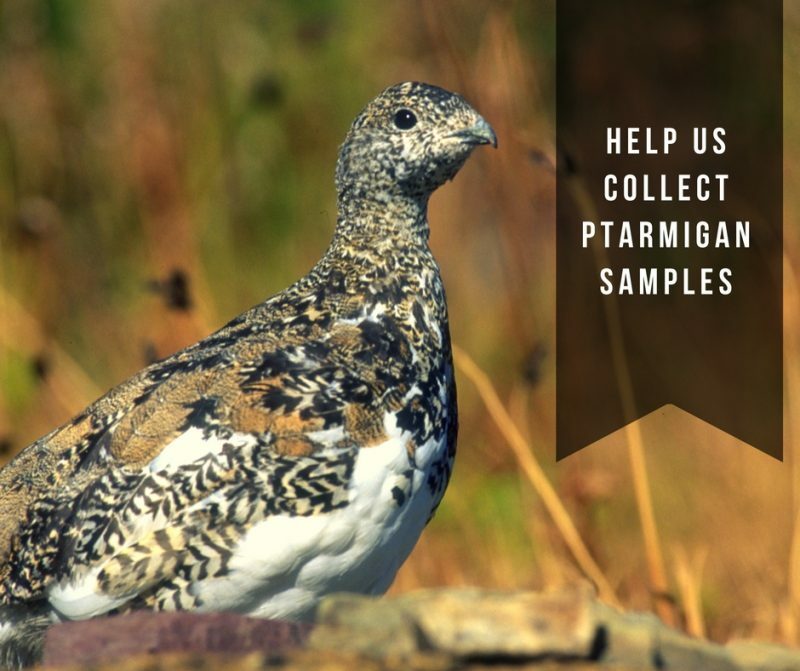 If you have harvested ptarmigan, or plan to hunt ptarmigan this year and would like to contribute to this research, please provide a genetic sample in the form of a wing, head or heart. If you cannot provide a wing, head or heart, any other tissue sample would be a valuable contribution. If you’re unable to drop off the sample at one of our Division offices, just give us a call and we can arrange to pick up. If you need some extra help finding ptarmigan, read these tips we put together. Hunted area around Leidy peak,didn’t see any ptarmigan. Hunted a few places, never saw any ptarmigan. I was cow elk hunting in Taylors Fork area (yesterday) and flushed 2 birds, thought I was seeing things, they matched your discription, they were in an area of the habitat you say they like , no trees and lots of rock up on the top in a small basin. They were mostly white with the heads still slate colored, Very beautiful this time of year, they are also a good sized bird, appeared to be almost a pound or slightly over. I flushed them separately and about 1 hour apart on the same area.